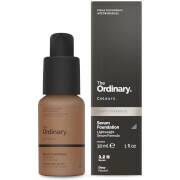 This lightweight foundation minimizes the appearance of blemishes and reduces the look of facial redness and pores. It is formulated with Aspen bark and tea tree oil to promote clearer, healthier-looking skin, and infused with aloe to help soothe and hydrate. This lightweight and non-drying makeup blends seamlessly for buildable, natural-looking coverage that feels comfortable all day. Aspen Bark and Tea Tree Oil: Promote healthy-looking skin. Aloe: Helps to soothe and hydrate skin. 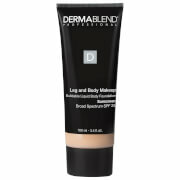 Mineral Powder: Helps to neutralize the appearance of skin redness and control oil and shine. Apply with a brush, dipping the bristles into the mesh filter; use the Swirl, Tap, Buff® application to apply. Swirl a small amount of bareMinerals® Foundation until it all disappears into the brush. Lauroyl Lysine, Silica, Salicylic Acid, Populus Tremuloides Bark Extract, Soil Minerals, Aloe Barbadensis Leaf Juice, Melaleuca Alternifolia (Tea Tree) Leaf Oil, Litchi Chinensis Fruit Extract, Oryza Sativa (Rice) Extract, Disodium Edta, Limonene, Phenoxyethanol, Sodium Dehydroacetate, Sorbic Acid. May Contain: Mica, Titanium Dioxide, Iron Oxides.